5 step plan to re-discover your pristine self. We are now in the season of teshuvah, which is generally translated as repentance. This is however not an accurate, true to the Hebrew word, translation. More accurately, the word teshuvah means, to return. The very big difference is that, repentance is for someone who sinned and transgressed against G-d, while to return is applicable to everyone. Everyone can perform this very powerful commandment, to return back to a more pristine and original state of spirituality, G-dliness and soul cleanliness. The soul when it is first placed in our bodies as it descended from G-d, by its very nature, is pure light, bliss. Complete bursting life energy and clarity. Over time, dust accumulates over this spark of light and darkness, confusion, lethargy, questions and weakness settles in. We are searching, and G-d makes it easy for us during this season of the High Holidays, to rediscover the light, the inner childlike carefree joy, the faith and optimism that knew no worries. For that, our sages tell us, our focus must not be on the darkness and the problems, because as the expression goes, he who lies with dogs will get up with fleas. If we think of all that’s wrong, we remain attached and connected to just that. To rediscover the light within, we must make every effort to get all the ways of conduct that are not G-dlike out of our minds, lives and atmosphere, totally. Every effort must be made that our minds and lives should be surrounded and immersed in the desired goal, the awareness, the love and fear of G-d. The mindfulness that everything is good and everything will be good, because everything is G-d. The great spiritual and G-dly Rabbi Zusya of Anipoli asserted that he could not attain the lofty heights of such a teshuva, therefore he broke down this journey into more manageable components. For each letter, of the Hebrew word teshuva (to return back to this pristine level of existence) is the initial of another verse in the Bible. Tamim - Be sincere with the Eternal, your G-d: Shiviti - I have set G-d before me always. : V'ahavta - Love your fellow as yourself. B'chol - In all your ways, know Him. Hatznei'a - Walk discreetly (in modesty) with your G-d.
To be sincere and whole hearted with G-d, the first step in the five step program is to put aside all the thinking and once and for all take the leap of faith. Give up all the questions and worries and put life in, His hands. Many times our minds are the biggest stumbling blocks to real progress. Free yourself of the limitations of the mind. It’s about time we surrender and yield to G-d’s plan whole heartedly. Step #3, The only way we can love everyone and overlook the superficial differences between one person and the other is because we have trained our mind to look and to be sensitive to what’s beneath the surface. To appreciate it’s not all that we see that matters, it’s what is internally taking place that makes the difference. Every person has a spark of G-d inside that is no less, or more important than the other. All of us have a unique purpose to complement the picture & that no one could ever replace. This thought makes us respect every individual as the other, because everyone person in the grand schemes of things is as important as the other. The unlimited maximum blessing, in doing. Sip of Kosher Caffeine -- 18 Elul Story with the Baal Shem Tov. A human being is generally divided into three parts. The head, body and legs. These three parts represent three distinct ways we go about our lives and we fulfill our G-dly mission here in this world. We must use our minds and understanding, we arouse our feelings and fire the emotions in our heart, and the faculty and capacity of action. To do and go places. We are instructed to study and toil in our understanding of the Bible with our minds, “day and night.” And many more commandments which are fulfilled with our brains and the proficiency to think. There are commandments that are fulfilled with our heart and emotions. The two basic commandments underlying the fulfillment of all the others, is to love G-d, and to fear G-d. These two emotions form the basis and foundation for the performance of all other deeds in the Torah. Another example of serving G-d with our heart. We are commanded to love each other, like ourselves. Then there are the commandments that must be done whether we’re with the program intellectually or emotionally. No matter what we think or how we feel when doing these deeds, we receive full reward for having done them, in deed. When doing things with our minds and our hearts, everyone is on a different level. Some are more superficial than others, some appreciate much deeper the opportunity to have value in the eyes of G-d. Some care more, some care less. However when it comes to deed and a commitment to do, no matter what, over there, everyone is exactly the same. It doesn’t matter how the person thinks or feels since the deed is the same in someone who is intelligent and or someone who is not. Let’s take for example the deed of charity and kindness and the same is true for all the commandments performed in deed. No matter how a person feels, when assistance is offered to the needy, it’s the same hundred dollars coming from a genius or coming from a simple person. Crossing the little old lady across the street is the same, no matter who is doing it. The full limit and maximum of a human being, which is equal in everyone, is reached when “doing” the right thing. Sometimes however one may wonder, how is it always possible to throw oneself entirely in the deed. It may happen that the mind and the heart stand in the way of a total commitment in deed. Therefore the Bible also tells us to recognize the limitations of the mind and the emotions, which ARE different in every person. This is a world of deed. When it comes down to it, the only thing that matters and that takes us places, is the act of doing. By realizing how limited our minds really are and how unreliable many times our feeling really are, we conclude that no matter what the results have been, we must continue always doing. This commitment to do, under all circumstances and no matter what, not just when we feel like it or it makes sense to us, arouses in G-d a similar and in kind reaction, to give, no matter what. When a person is committed to doing, this has the power to transform any hindrances or limitations above, to a maximum flow of giving and blessings. The good the bad AND the in between. A lesson on recognizing boundaries. The Bible says, “You should not move back your neighbor’s boundary” marker, to commit territorial fraud, by encroaching and stealing from his territory. In the broader sense this commandment includes invading into someone else’s territory for your own benefit, from which he earns a livelihood. This is a form of thievery. Like all commandments in the bible that relate to this physical world, there is a parallel and corresponding scenario in the spiritual realm, in our service and worship of G-d. In life the choice is only, between “See! I am giving to you today a blessing and a curse ...I have set before you (a choice of) life or death, blessing or curse, Choose life!” It is either good or bad. Different degrees of white or black with no gray at all in our personal and individual selection. Yet, our world can be divided into three frontiers. There are the boundaries of what is good, bad and neutral, neither good nor bad. Good, is everything we are directed to do. This is the domain of G-dliness and holiness, since G-d in His full glory is the source of all that is good. Bad, darkness and evil belong to the area of everything that is forbidden to do and/or be connected with. In the middle of all this is the mundane which cannot be classified as bad since they aren’t forbidden but can’t either be classified as good since they aren’t in the territory of what we are expected and commanded to partake in. 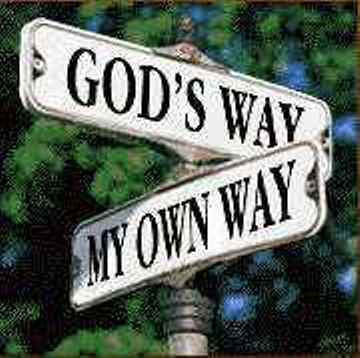 The choice and option is, to deliberately use this middle ground for the good and holiness, as an accessory for G-dliness, or as a support and grounds for evil, and things that are forbidden. 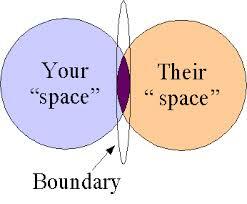 The healthy approach, is to have all boundaries marked and identified clearly. We don’t want to mistake what can harm us for good, or deny ourselves the positive and helpful possibilities by disregarding and overlooking the good. Even when the boundaries of good and bad are clear, confusion and a lack of clarity can sometimes, for some people, set in regarding this middle ground and then the problem of encroaching and moving the boundaries incorrectly and wrongly, can set in! The “good” life, real happiness in its fullest sense is the result of receiving an uninhibited flow of G-dly energy. “G-d created the person straightforward, but it is they that have pursued deviousness”. The world created by G-d is extraordinarily beautiful, and within these boundaries all is well. The bad must also receive G-dly energy, otherwise it would never come into being and certainly not survive. Evil contains a very small and limited, intensely toned down form of G-dliness. Therefore in the domain of what’s forbidden, things may appear exciting on the surface, however, they barely exist in any meaningful way. When a person enters the domain of the mundane and the neutral with no specific intention to harness it for the good, or worse yet to serve and fulfill self-indulgent impulses, thinking there is nothing really bad in doing so, he has then blurred the boundaries of the holiness and good. He has dragged into the domain of good what is otherwise mundane, and allowed for the mundane to imbibe from a territory it is not entitled to. The biggest problem with this, is that the next border over, of bad and evil, comes closer into view. The bad and all that’s wrong begins to appears as if it is in the boundary of the mundane and the neutral and doesn’t appear that far off in the distance and in this new view, isn’t really all that bad. Why does G-d challenge us? Why all the difficulties? G-d is giving this false prophet the possibility to change the rules of nature and make a supernatural event, when he is a false and misleading individual, just to test us! Does G-d really need this, to know if we really love him or not? G-d knows everyone’s mind and heart. G-d is everywhere. “The whole world is filled with His glory,” including one’s mind and heart. Why would G-d need a scheme and method to discover who we are and what’s really going on within us? Since G-d knows everything, why is G-d, allowing a miracle to take place just to test and see if we will fall for this grandiose show of power from an individual or not? If nature dictates that the miracles not take place, why is G-d giving this person the possibility to break the rules of nature? In regards to tests, we are already acquainted with them, right at the beginning of Genesis. Why did G-d do this? What was the purpose? In our verse regarding the false prophet the Bible uses the same wording. “To know whether you do in fact love G-d …..” According to Rashi’s understanding of the word, “to know”, it would mean to make known to the world. Besides having proven ourselves to G-d and therefore earned a special closer relationship with Him, we become partners with G-d in imbuing the world with His awareness and spirituality.The world is elevated and refined further every time we overcome a personal challenge. It's the little things, the irrational, that make the biggest difference. What does performing what appears to be insignificant commandments, have to do with G-d going out of His way, for us? Why is it written, that because we go out of our way to thank G-d for the food He gives us, we are blessed in undeserved marvelous ways? And one more. When we don’t do what G-d wants, and we go against His wishes, why is there hidden in this mishap the greatest of goodness? We are all familiar with contracts, especially friendship and marriage contracts. One of the reasons to draw up a contract between friends is in the remote chance that later on feelings aren’t like they are at the present time, the contract guarantees and assures the commitment will in no way become reduced from its’ present time. A covenant transforms the current mutual feelings to an eternal obligation even if later on it may be irrational to follow through. The same is with G-ds covenant and promises. It guarantees His pledge and flow of blessings eternally. How and why is this the case? When a person approaches his service and worship to G-d in such a way that any and every opportunity to serve is looked at with equal enthusiasm whether it’s a big deal or just a small deal, the persons’ own action exhibits and determines that logic itself, big and small, is all put aside because of a relationship that goes beyond logic. This in turn causes G-d to deal with this individual in the very same way. Whether he deserves or doesn’t deserve G-ds good grace, logic is set aside to reciprocate and extend kindness not necessarily according to the regular rules, or of logic that G-d Himself set up. Showing a good face and forgiving is similar to the concept of an oath and covenant. In the same way that carrying through with the commitment of an oath will be beyond logic, forgiveness many times goes beyond what one deserves and what makes sense. But because we do more than is demanded and thank Him even on the smallest portion of food, G-d acts the same way in response to our own behavior. This also explains why the Bible when describing the unique G-dly given chance, exclusive to the human race for complete and total free choice in our decisions, the opportunity to choose bad and as a result draw curses upon ourselves, G-d presents this opportunity as if coming from the deepest most powerful parts of G-d, reaching the deepest aspects of our souls. In other words, making bad choices will blemish our deepest identity as humans. When a person falls from “G-d made them straightforward”, the lower a person tumbles away from goodness they become like an elastic band pulled backwards. It can only happen because of the great and very deep G-dly powers He endowed within each one of us, to fall so low. G-d who is so powerful allows his strength to reach the furthest reaches from his light to the deepest abysses of darkness. However, it is necessarily in these places and circumstances, when one already finds themselves there, and realizes how low they have fallen, that they can and will rebound from there, to become so much stronger and meritorious because, and out of this experience. Never underestimate the little acts and the dark and difficult situations. It is there, we find the greatest of blessings and forgiveness.